December 21, 2018 — Baton Rouge, LA – Lamar Advertising Company (Nasdaq: LAMR), a leading owner of outdoor advertising and logo sign displays, today announced that it has acquired Fairway Outdoor Advertising’s billboard operations in five U.S. markets from GTCR, LLC for a purchase price of $418.5 million. A decade ago, billboards were seen as outdated and irrelevant, relegated to informing you of the Cracker Barrel or gas station at the next exit. 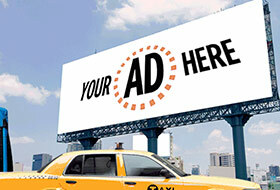 Today, they’re one of the fastest-growing ad commodities on the market.